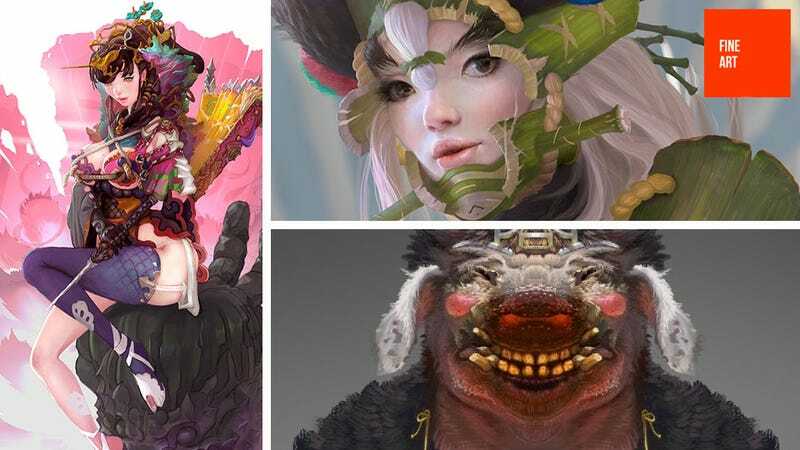 Chinese artist Xi Zhang works for online gaming powerhouse Tencent. He's been in the video game business for nearly ten years now. Some concept artist's work is shooting for realism. Others aim for mood. Zhang's looks like something I would dip in honey and serve at a party, it looks that tasty. You can see more of Zhang's art at his personal site.